Sevilla failed to impress in their opener against Liverpool and it has to be noted that they were more than fortunate not to suffer a loss to the Premier League side at Anfield (2-2). However, los Sevillanos were at their sharpest in their second group game against Maribor and they totally deserved to pick up all three points from the match. Eduardo Berizzo is doing a good job with the La Liga side and his men are seen as favourites to win Tuesday’s football match against Spartak Moscow. 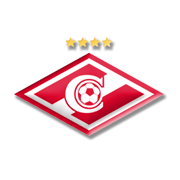 The Russian champions played out back-to-back draws with the likes of Maribor and Liverpool at the start of their Champions League campaign and, as a result, they have good chance of qualifying for the knockout stages. Spartak Moscow are likely to adopt a cautious approach in Tuesday’s clash against Sevilla and seeing that Eduardo Berizzo’s men are not regarded as good travelers, share of spoils appears on the horizon. Fernando Lucas Martins began his football career at Gremio, making his debut for the club on 24 January, 2010 against Veranopolis Sports Club. Fernando played 69 league games for Gremio and in 2013 he signed a deal with Ukrainian outfit Shakhtar Donetsk. The defensive midfielder, who is a capable of playing as a central midfielder as well, made 27 league appearances for the Miners, scoring two goals for the club between 2013 and 2015. On 6 July, 2015, the Brazilian footballer joined Sampdoria for a fee of €8 million and he played 35 games for La Samp in the 2015/2016 Serie A campaign. Fernando, though, left the club at the end of the season as he signed a contract with Russian side Spartak Moscow. The former Sampdoria midfielder won the 2009 South American U17 Football Championship with Brazil, while clinching the South American Youth Championship with Brazil U20. Fernando did well to win Campeonato Gaucho with Gremio (2010) and he helped Shakhtar clinch the 2013/2014 Ukrainian Premier League trophy. Sevilla Futbol Club is a Spanish football club from the city Andalucia. The club is playing in the Spanish Primera Division and is playing his home games in Estadio Ramo Sanchez Pizjuan. An impressive venue with the capacity to hold 45 500 football fans. 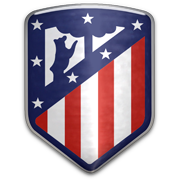 The biggest rival of Sevilla FC is city rival Real Betis Sevilla.The current second team of Sevilla is called Sevilla Atletico and is playing in the Segunda Division B. Nicknames for Sevilla are Los nervionenses and Los Rojiblancos. Sevilla won the Spanish title once in 1946. In Spain Sevilla won the Copa del Rey 4 times. In European competitions the team had more success. The club managed to win the Europa League 4 times and is currently the most successful club in the Europa League. The most remarkable players that played for Sevilla FC are: Suker, Zamorano, Alves, Ramos, Rakitic and the legendary Diego Maradona.